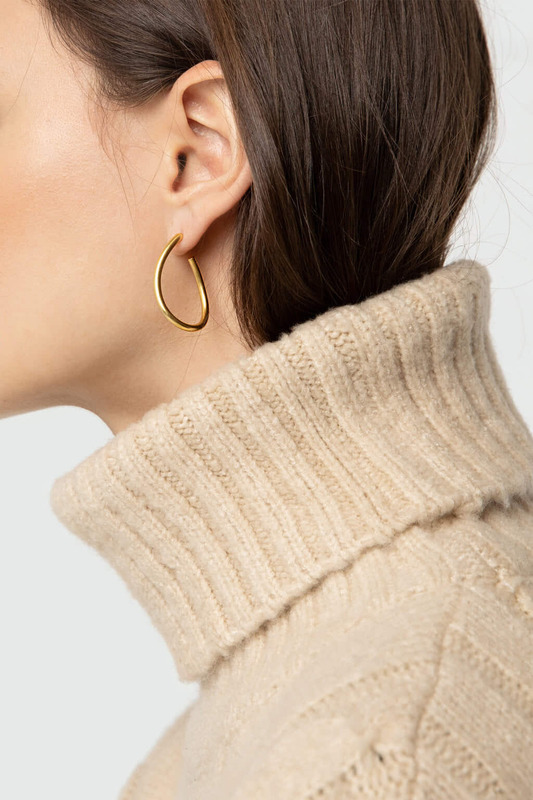 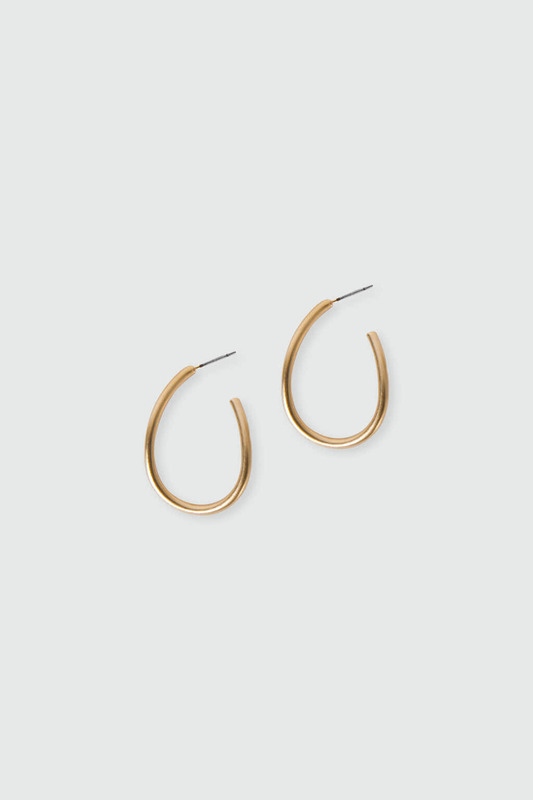 Inspired by fluid lines, these hoop earrings are cast from gold-tone plated brass with a semi-matte finish. 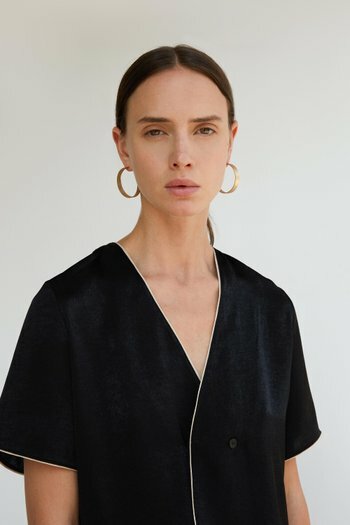 Featuring an open silhouette with minimal twisted design to create an organic shape. 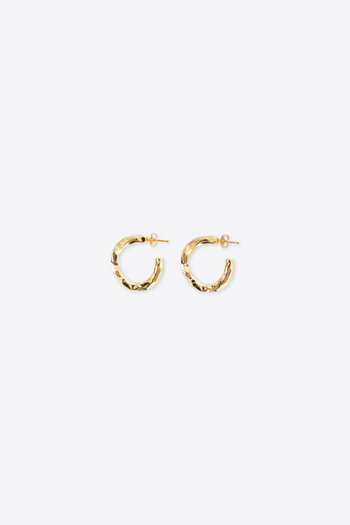 Switch out your classic hoops for this modern pair with your next outfit.